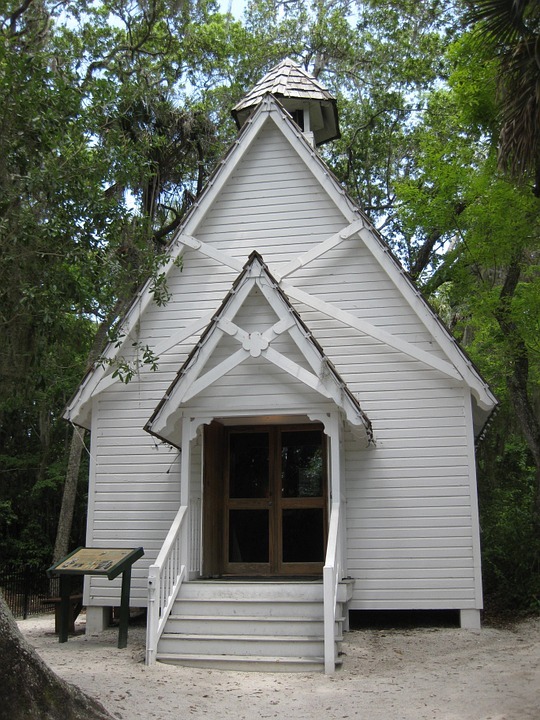 Villages and neighborhoods contained well-attended churches of various denominations. Church meetings were not held as often as today. A general custom of the day was that women sat on one side with men on the other. The Methodists had a circuit system for ministers. Each minister was assigned to a particular circuit of churches that he traveled to on horseback. He stayed with a church member living near the location of the preaching. Single preachers received one hundred dollars per year. Married ministers received one hundred dollars for himself, one hundred dollars for his wife, and fifty dollars for each of his children. This likely encouraged matrimony! Camp meetings lasted a week. Thousands traveled from miles around to attend services held in a shady grove near a public road. The most eloquent preachers spoke at camp meetings during the day and evening. Log huts were built for families traveling too far to return home each day. The minister stood on quickly erected platforms. Powerful sermons touched listeners at these festive occasions. People gathered to worship and sing but also to spend time with old friends and meet new ones. Many converts emerged from this week with sincere faith. These meetings not only educated those attending about God’s love and forgiveness, but also exerted moral influence over the country. Night meetings lit by lamp and torches illuminated the woods. The preaching and congregational singing inspired true worship that remained with those experiencing it. “Camp Meeting,” New World Encyclopedia, 2015/06/15 http://www.newworldencyclopedia.org/entry/Camp_meeting. Welker, Martin. 1830’s Farm Life in Central Ohio, Clapper’s Print, 2005. 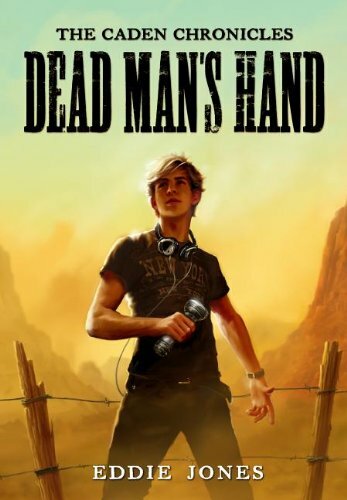 When teenager Nick Caden visits Deadwood Canyon Ghost Town on vacation, he has no idea the adventures that await him. He witnesses the murder of Billy the Kid. He reports it to the sheriff. When they don’t find the body, the sheriff doesn’t believe him. Nick meets a girl named Annie Oakley who tries to help him find Billy the Kid. Encounters with Wyatt Earp and Jesse James as well shootouts and bank robberies staged for the vacationer’s enjoyment will keep teenaged boys – and girls – on the edge of their seat as Nick and Annie face danger from the killer. My History in the Making column on the Almost An Author blog posted for June. The article, “What I learned from the Author of Charlotte’s Web – Part 1,” discusses E.B. White’s advice for concise writing. Please check it out! 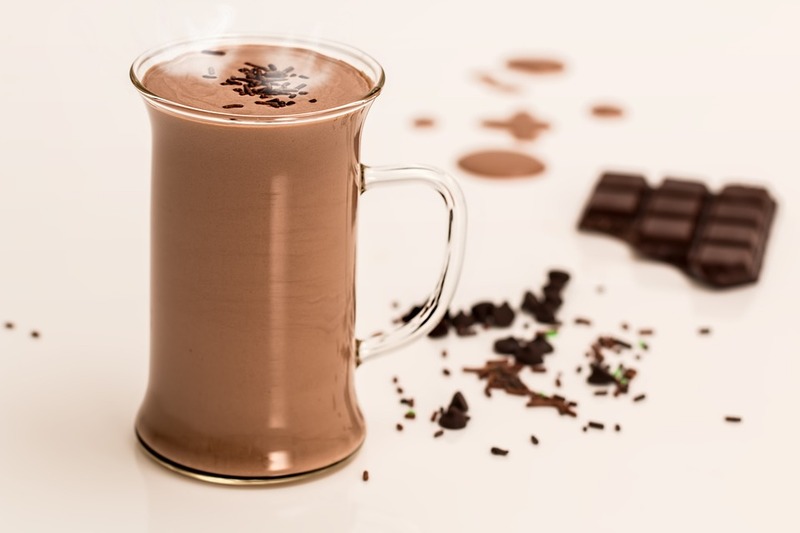 The authors of an 1877 cookbook wrote instructions for preparing hot chocolate. There is no mention of adding sugar so it seems they drank unsweetened hot chocolate. I’m sure this was healthier but doesn’t sound tasty. Dissolve six tablespoons of scraped chocolate or three tablespoons of scraped chocolate and three tablespoons of cocoa in a quart of boiling water. Bring the chocolate mixture to a hard boil for fifteen minutes. Add one quart of milk. Heat to scalding, then serve while hot. This serves six. I decided to make hot chocolate the old-fashioned way. I used Baker’s Unsweetened Baking Chocolate, boiled in water for fifteen minutes, stirring occasionally. The water thickened to a thin gravy consistency and may have been much thicker had it boiled longer. I added milk and heated the mixture to scalding, stirring frequently to prevent it from sticking to the pot. The drink looked very tempting. Though I don’t even like unsweetened tea, I tried it. In my opinion, hot chocolate tastes better with sugar. I added a teaspoon of sugar. Much better but not sweet enough for my taste. I ended up adding two and a half teaspoons of sugar to my mug of hot chocolate. I think this would be a fun activity with your children or at a fall party when the weather cools. It will be fun to see how much sugar/sweetener that each person requires for the perfect cup of hot chocolate. 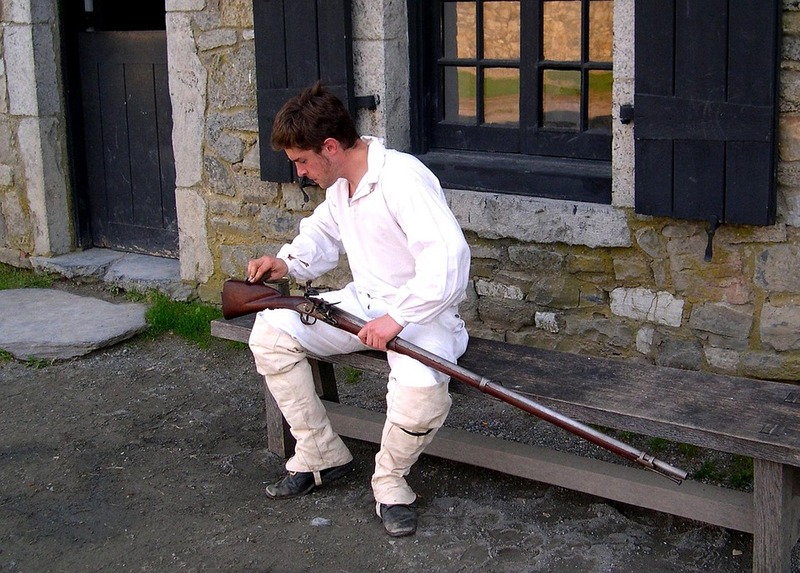 The law made every male between 18 and 45 part of the Militia of the day. This was usually one regiment plus officers for each county. Law required every company meet once a year for drills. After this, the entire regiment met for a one day drill at the county seat or some other designated location. In addition, one or more rifle regiments had company meetings. These men were required to wear uniforms. The rifle regiments and commissioned officers met at the county seat for “Officer’s Muster,” a two-day drill. All the rifle regiments were required to meet annually for a regimental drill. These Military displays drew large crowds as a pleasant change from the daily routine. It was considered a general holiday. Usually held in the fall, these “big musters” brought opportunities for horse races, foot races, and wrestling matches. 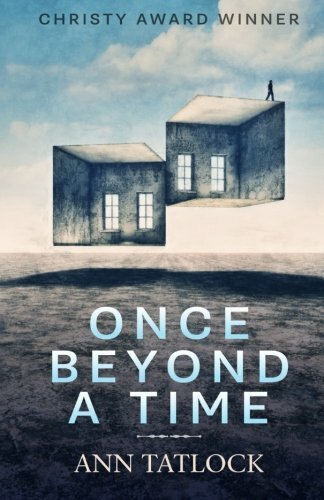 This intricately-woven story about a family in turmoil and a house with a secret quickly captivated and held my interest until the end! The novel’s journey takes us to a magical place where the unimaginable becomes possible. I’m not surprised the book won a Christy Award. Loved it! Highly recommend this book and this author. The authors of an 1877 cookbook wrote instructions for preparing coffee. I’m sure the recipe was easily understood by women of their era, but I had to read it several times. Grind roasted coffee beans. 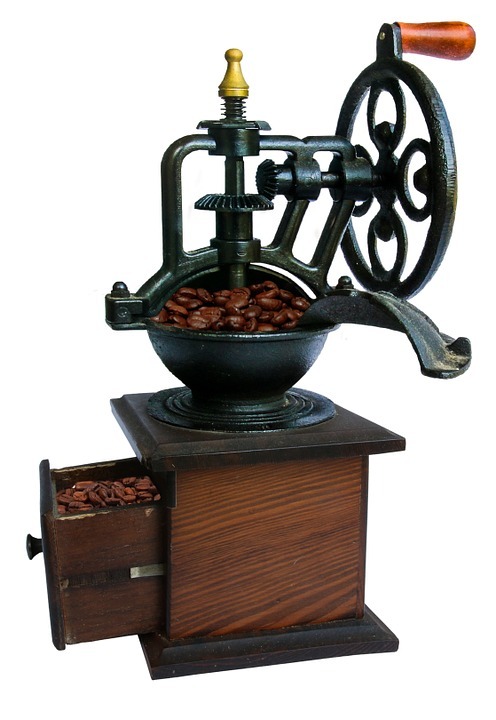 Many people owned coffee grinders similar to the one in the photo. Turning the crank grinds the roasted beans. The grounds are collected in the drawer beneath the grinder. Some grinders attached to the wall. Allow one heaping tablespoon of ground coffee per person and “one for the pot.” Mix the grounds with an egg (part or all of the egg) with enough cold water to moisten it thoroughly. Place the prepared coffee grounds into “a well-scalded coffee-boiler.” (This may refer to a coffee pot that has been rinsed in hot water, but that’s just a guess.) Then add half the boiling water to the coffee pot. Stop up the “nose” or spout with a rolled-up cloth to lock in the flavor. Boil for five minutes “rather fast,” stirring as the mixture boils up. Then simmer for ten to fifteen minutes. Add the remaining boiled water to the coffee when time to serve. The cookbook authors advise that boiling coffee a long time makes it strong but isn’t as flavorful as when following the above instructions. Any coffee drinkers care to give this a try? Maple or sugar trees provided sugar for early pioneers in the early 1800s. Log huts called Sugar Camps held either two big logs or a crude furnace of stones where they set iron kettles to boil sugar water. The opportunity to chat with neighbors was part of the fun of making sugar. Neighborhood camps were usually built near each other to allow friends to socialize during the long process. Pioneers used a gouge to tap trees in the winter. The ideal time for collecting sap varies with the part of the country, but was best when sunny days were above 40 degrees with frosty nights. A spile — a wooden peg used as a spigot — driven into the hole allowed sap to run into a wooden trough. Gallons of collected sap boiled for hours. The process often continued all night. Children played while the sap boiled down. Sap made a waxy form of sugar before it granulated and was often eaten in that way. The sap also made molasses. Maple sugar and molasses, along with winter honey, sweetened pies and cakes in the days when families made most of their food. 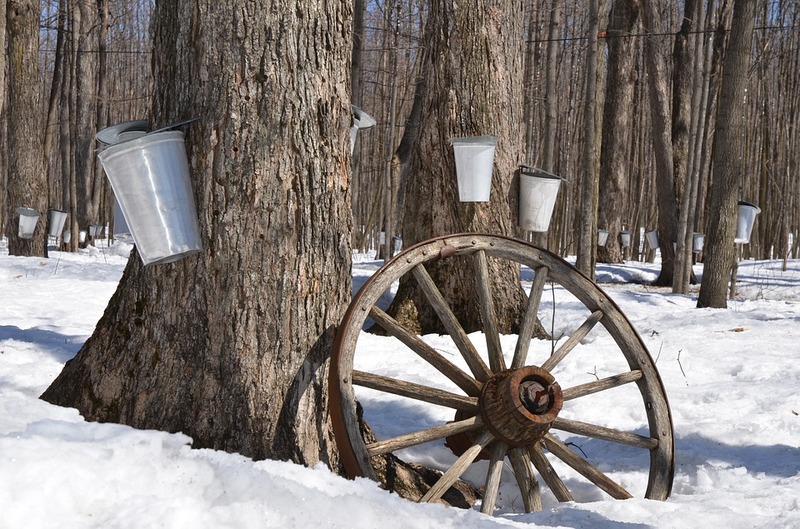 Many areas still offer the experience of tapping trees, boiling sap, and tasting freshly-made maple syrup. Check for these opportunities in your area in the mid-winter. “Maple Sugaring: Making Granulated Maple Sugar,” Back Yard Chickens 2015/06/10 http://www.backyardchickens.com/t/148932/maple-sugaring-making-granulated-maple-sugar. “Frequently Asked Questions about Maple…,” Cedarvale Maple Syrup Company 2015/06/10 http://cedarvalemaple.com/faq. 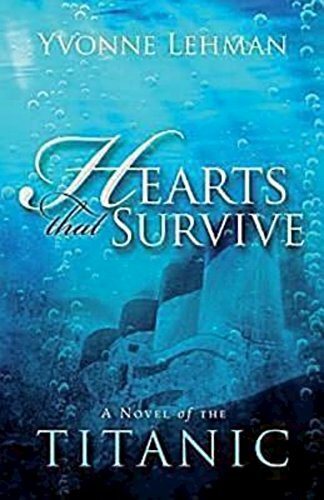 This novel about the Titanic is an intricately-woven story about two women. It begins before the tragic event and shows us what happens during the tragedy. I was immediately drawn into the story and got by on less sleep until finishing it! Though you may know the history of Titanic’s voyage, you’ll find many surprises as you read. I especially loved the attention to historical details that were effortlessly woven into the story. Definitely recommend this novel by a very talented author! The authors of an 1877 cookbook urged readers to buy raw coffee grains or small amounts of freshly roasted beans. They preferred Mocha and Java or a mix of the two flavors. Wash raw coffee beans. They can be dried using a moderate oven (probably about 350 degrees) and then increase temperature to roast them quickly, stirring often. The beans are ready when tender, brittle, and a rich dark brown color. To test doneness, press one bean with your thumb; it will crumble if done. 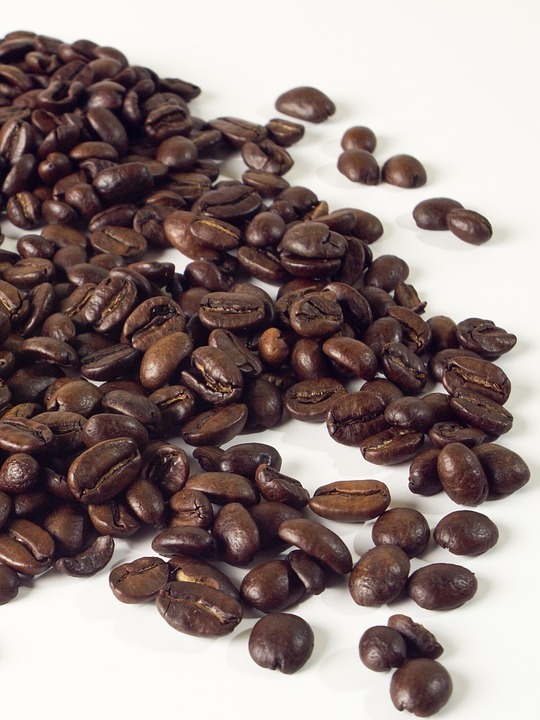 Coffee beans can also be roasted on a stove burner but make sure to stir constantly. Add a lump of butter to the hot, roasted beans or let them cool and stir in a beaten egg. This clarifies the coffee beans. Clarifying coffee was a new term for this modern girl. A little research showed that clarifying liquids removed sediments. Egg whites are most commonly used. After simmering a few minutes, the beans are strained. This was probably a common task in the 1800s so it didn’t require explanation. I’m guessing early cooks used egg whites to simmer the beans and then strained them before storing in a tightly-closed tin. The authors cautioned them to only grind quantities needed to retain the fresh flavor. Next time we will learn how they made coffee.